65 is the new 25. Probably not - but today's Daily Telegraph makes a good attempt at justifying the claim in a report on research showing that 65 year olds are as happy as 25 year olds. Of course, happiness is subjective not objective. 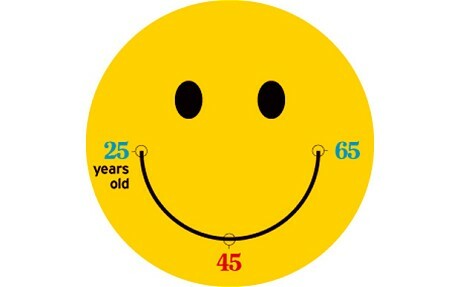 And a happy 65 year old is happy for very different reasons to a happy 25 year old. I suspect the happiness of the former is more likely the result of a comfortable - and comforting - routine than it would be for the latter. For instance, Simoleon Sense reports that "routine enhances feelings of safety, confidence, and well-being in many aspects of everyday life". Which is probably why ritual - a special form of routine - has such a powerful influence in our lives. It makes us happy. Or 'familiarity breeds contentment' as an old Guinness ad once said.